With the holiday season is in full swing, we hope that our members are enjoying time with family and friends and will be getting a bit of a break in the coming weeks. As we reflect on the last year, we are so thankful to all of you who make a positive difference at LWHRA including our valued members, volunteers, committee members, and Board members! Know that your support matters and enables us to exist and provide benefits and resources for our wonderful community. LWHRA is pleased to announce that we will offer a SHRM-CP / SHRM-SCP Certification Study Group for the 2019 Spring testing window. We are developing a new cohort study program that continues to provide the greatest value to you. We have been listening to your feedback and are excited about the new program developments. LWHRA’s Spring Certification Preparation Program meets on Wednesday evenings from 6:00–9:00 PM in Bellevue, beginning February 20 and running through April 24. The first 10 participants to register by December 24, 2018, will receive a $50 discount on their class tuition. Use discount code FIRST10. Register now to take advantage of this one-time offer! 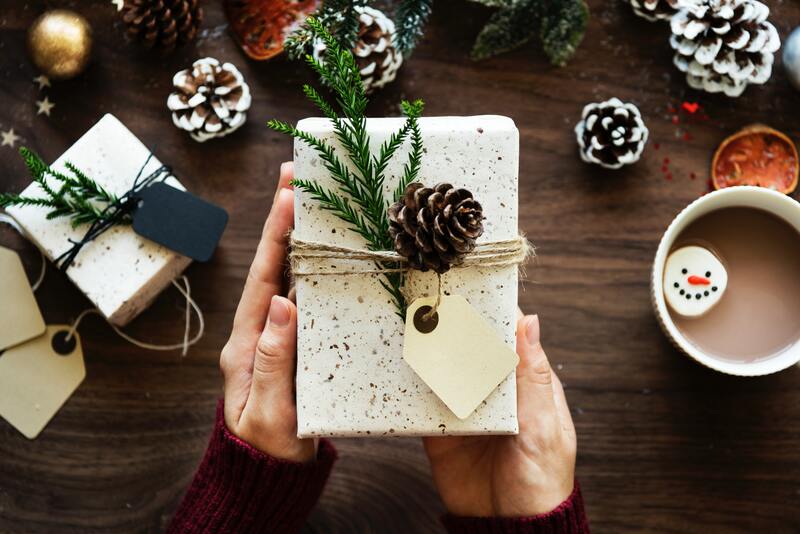 As you think about your goals for 2019, we hope that giving back is on your list! LWHRA is a volunteer-run organization, and your support makes our programs possible. We are currently seeking volunteers in several functions, including social media, certification classes, and our committees for membership, programs, and partnership. We even have rarely-available chair and co-chair openings! Are you someone that could benefit from developing a relationship with a trusted, personal HR adviser? Are you an experienced HR professional looking for a fulfilling way to give back to the community? LWHRA's Mentorship Program will provide you with the chance to connect with a diverse group of HR peers. Our 2019 program kicks off in March, and applications for mentees and mentors are being accepted now. For more information, including how to submit applications or questions about the program, check out the LWHRA website. Register for the January Chapter Meeting at the Hilton Bellevue. LWHRA Monthly Chapter Meetings are a great way to network, enhance your HR career, and even earn re-certification credit! Read more about this event on the LWHRA website. 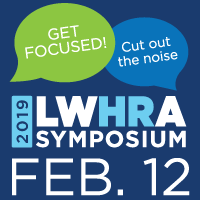 Join LWHRA for our 2019 Annual Symposium. This year we are looking to, "Get Focused and Cut Out the Noise." Shannon Drohman and Erin Wolford will be leading a session about “Cultivating Pay Equity.” In this session, they will discuss the current state of pay equity, including new laws that affect your organization. They will also explore designing and conducting pay equity analysis, getting to the story behind the data, and developing tactics for addressing pay inequities. It takes sustained commitment to cultivate pay equity; therefore, we will discuss how HR programs and processes systemically impact pay equity across an organization. Shannon is a Principal at Compensation Connections with more than 20 years in HR/rewards. Her clients range in size from small start-ups to more than 10,000 employees, in a variety of sectors including government, non-profit, healthcare, and technology. Shannon is a former graduate-level instructor in Human Resource Management and Past President of LWHRA. Erin is a consultant at Compensation Connections. She has more than 10 years of experience as an internal business partner and external consultant in all elements of human resources. Erin has worked with many employers in government, non-profit, for-profit, and start-up environments. The opportunity to meet and collaborate with amazing people and organizations to achieve their goals continues to be a driving motivation for Erin. 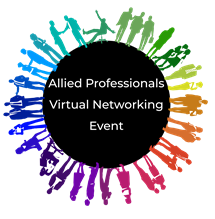 This Virtual Networking Event is presented by the Association of Talent Development (ATD), the International Coach Federation (ICF), and the Lake Washington Human Resource Association (LWHRA). We invite you to jump-start the new year by connecting with peers in the ATD, ICF, and LWHRA communities. Join us from the comfort of your home or office for a fun and informative online event. We will learn about new tools (apps, programs, books, podcasts, and more) that can help us be more effective at work. LWHRA is pleased to announce a special limited-time offer on renewing your professional membership with SHRM. 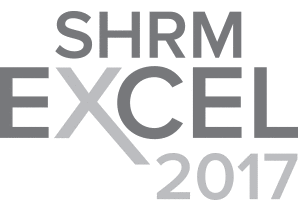 LWHRA members will save $25 on the renewal of their SHRM membership. Use code CHAPTER25 to save $25 when you renew on the SHRM Website by December 31, 2018. Maintain access to the HR tools and resources to help you feel confident, engaged, and up-to-date on all things HR. Renew your LWHRA membership today!